Thanking someone is a form of rewarding and it gets even better when we add a little fun to it. 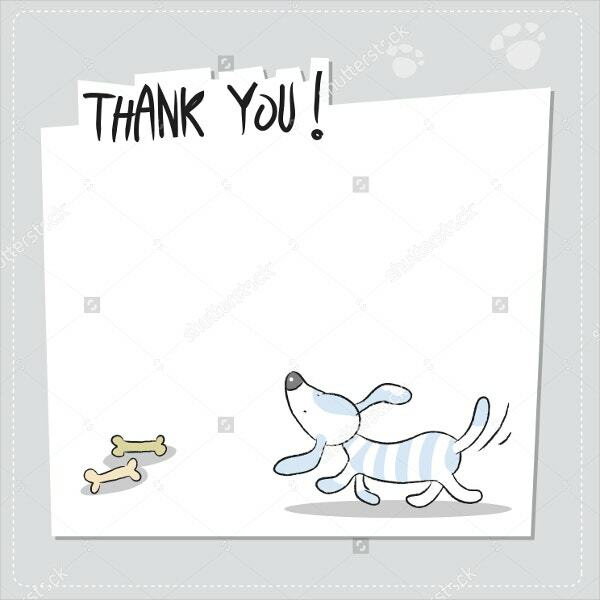 Funny Thank You Cards are a brilliant way to convey your gratitude with appealing designs and internal link anchored texts. These are available in customizable templates, which can be prepared with minimum effort. These templates are for everyone, including professionals and amateurs. Here is a list of some handpicked template designs. You can also see Thank You Card Templates. This is a both an invitation and thank you card template containing RSVP at the back. The design contains great customizability for flyer designers with PSD multilayered files for download at 300 DPI resolution. A Christmas Thank You Card with comic humor, featuring a funny rat with a monologue. This card is set to add fun while expressing gratitude. Can be ordered from Etsy. 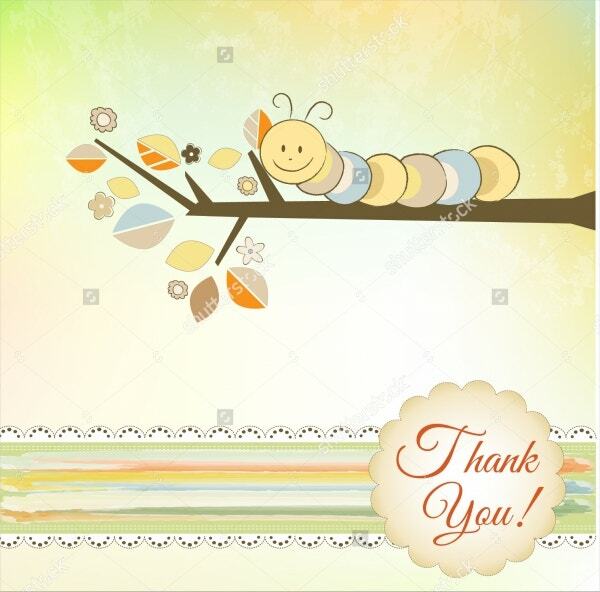 It is a thank you card featuring a caterpillar in a rather abstract portrayal. 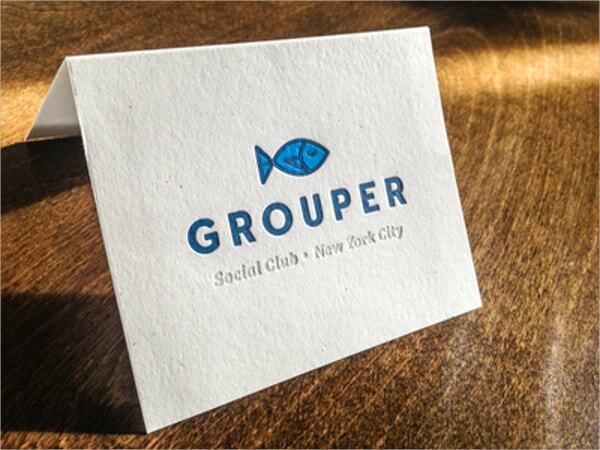 The card is simplistic and offers a friendly vibe, which will work the best for anyone. Downloadable from Shutterstock. The inscribed letterpress thank you card template is a professional yet a fun design. It is suitable for a more formal relationship and company letter pads. Available at Dribble. The card features a cartoon bird displaying the thank you sign. It is a clean and effective template for sending good wishes. It is a handmade item that can be purchased from Etsy. You can also see Personalized Thank You Cards. 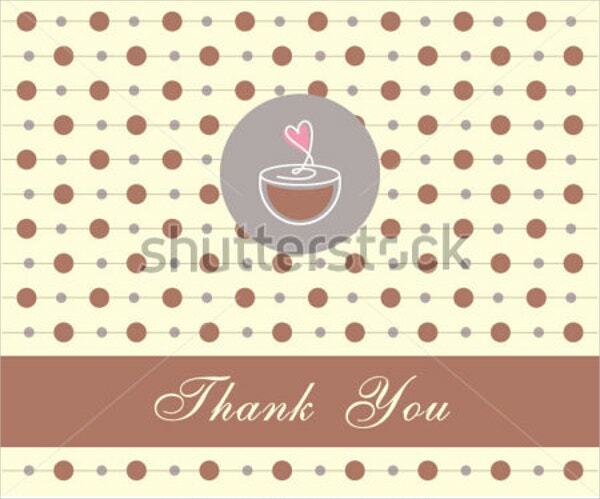 The card features a polka dot design with a coffee cup inscribed on it. The photo thank you card is suitable for Cafés and restaurants. 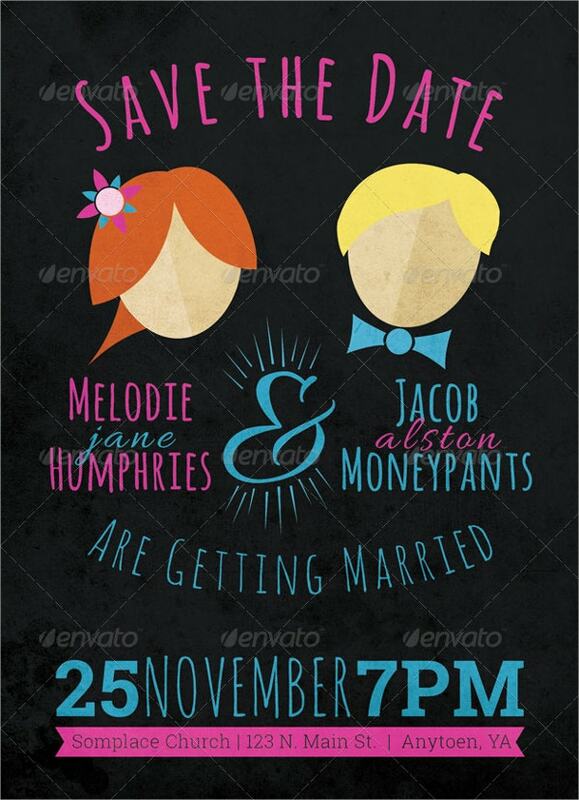 The vector image can be downloaded from Shutterstock. It is a colorful and animated card template featuring cartoon honeybees. 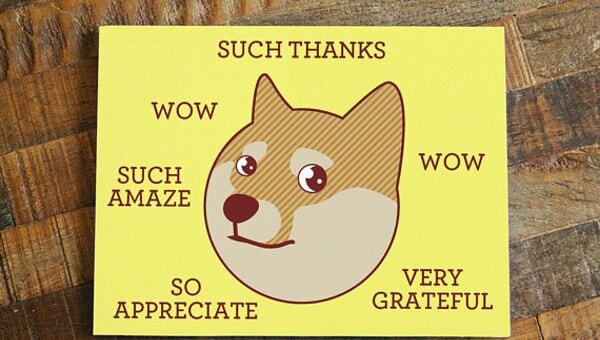 The pack comprises a collection of 8 customizable cards with casual thank you message in a print edition from Zazzle. 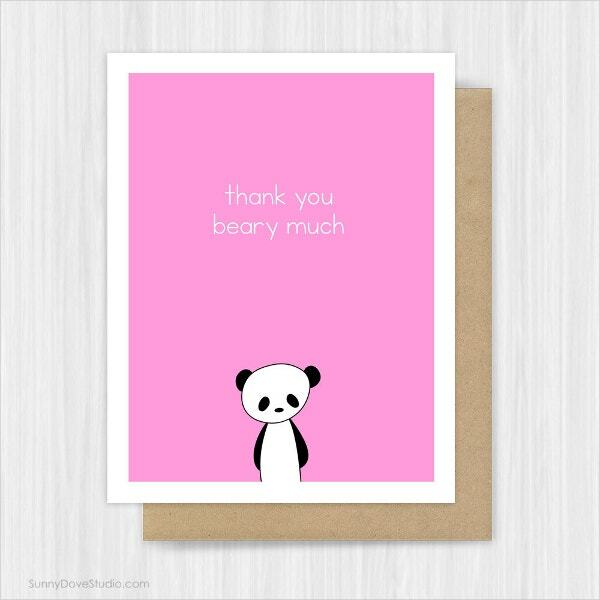 The crafty card features a Panda suitable for Baby Shower with a funny thank you message. The card is dominantly pink and is perfect for children. It can be used for birthdays and other messages as well. The template consists of a funny rendition of a cartoon dog. It is soothing and eye-catchy. 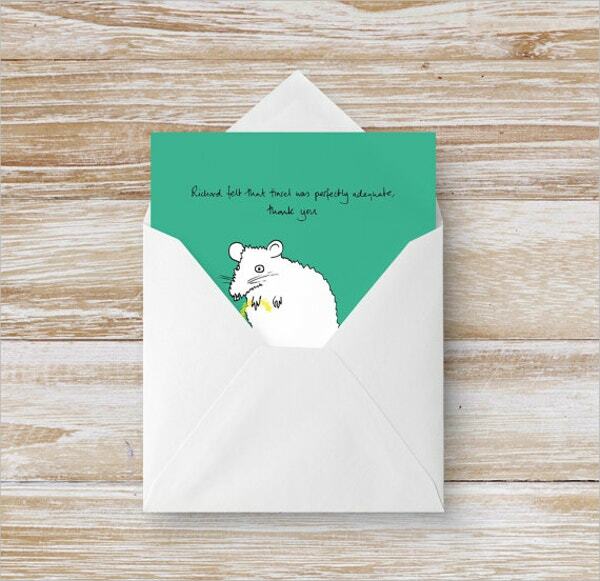 The card features a doodled thank you message on a white background. It’s suitable for pet owners. 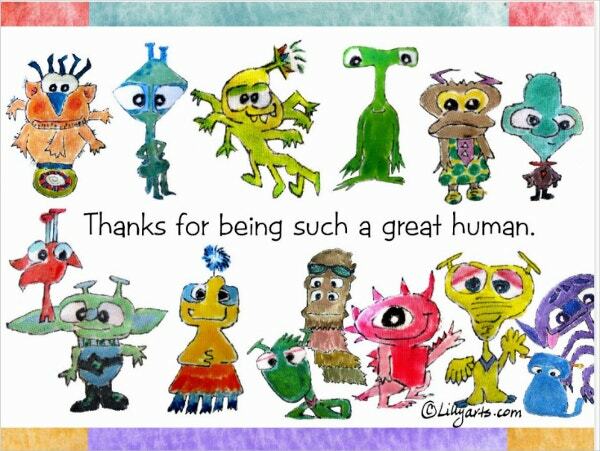 It is a creative card with cartoon Aliens biding gratitude for a human. The template is funny and refreshing to look. It is fully customizable and is suitable for orientation purposes. You can also see Thank You Letter Templates. 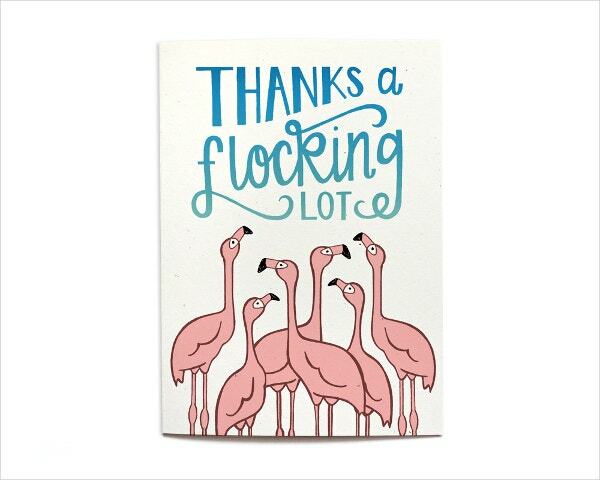 The card features a funny thanking message with a group of flamingoes. It packs a punch with its funny headline. The animated art is also refreshing to look at. The card comes handmade from Etsy. Thank you cards are a great way of expressing your feelings. They not only convey your message but add a fun element to the graphic design and internal link anchor text stored in them. The above-listed articles are recommendable for anyone with no experience in graphic design and for professionals. Download and make someone’s day today!